The Co-Heads of Mr Smith and Mrs O’Hare looking relaxed at the School’s Christmas Fair. Sarratt school’s Christmas Fair was buzzing with goodwill and smiling faces. The community spirit is very much alive in our village school. The enthusiasm from the children, parents, staff and the Co-Heads is very evident for all to see. 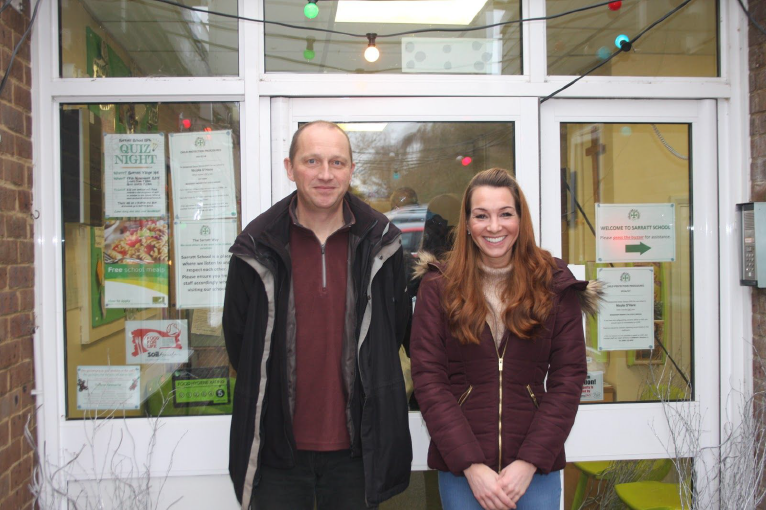 Mr Smith and Mrs O’Hare joined forces in January this year bringing experience and energy together for the good of the school. In the time they have been working together they have been focussing on the improvements seen over the past couple of years and together they are driving the school into a bright and successful future. Exciting times for our Village School!